Among the critical elements (Figure 1), vanadium (V) has been proposed to be a potentially dangerous pollutant, especially in the critical zone. The United States Environmental Protection Agency categorizes V in the priority list of environmental risk elements. 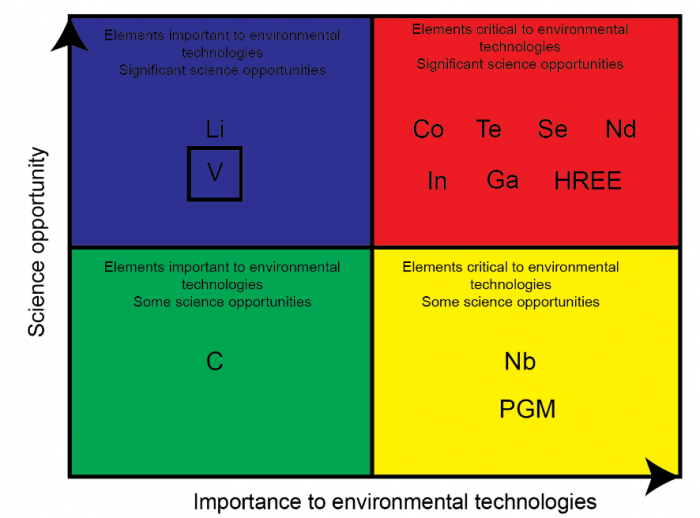 Fixing the environmental concern of V can be controlled through an incomplete understanding of V biogeochemistry relative to other transition metals. A better understanding of V biogeochemical behavior may support environmental risk assessment and assist in developing new remediation tools (Pourret and Dia, 2018). Figure 1 Sketch illustrating the criticity of some chemical elements. Image courtesy Olivier Pourret. Vanadium received its name from the Scandinavian goddess of beauty and fertility, Vanadís, due to the wide variety of colors found in V compounds. Due to its oxidation states, V2+ is purple, V3+ is yellow, V4+ is blue, and V5+ is orange. Vanadium was originally revealed by del Rio in 1801 and was inaccurately identified as impure chromium. Vanadium was further discovered by Sefström in 1830. Vanadium was reduced with hydrogen in nearly pure form from V chloride in 1867 by Roscoe. High purity V (99.3 to 99.8%) was only produced starting in 1927. Vanadium occurs as reducing V3+ form in the lithosphere, whereas in oxidizing conditions V prevails under the V4+ form. 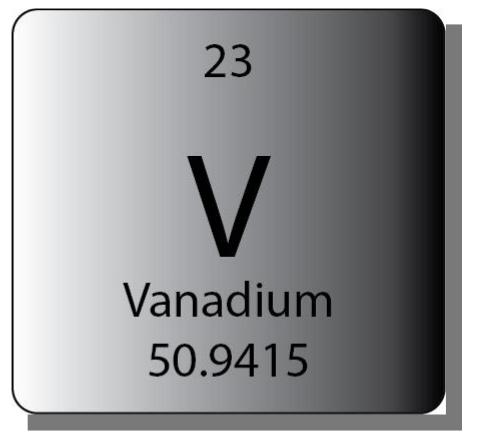 Vanadium2+ is principally not stable in the environment, whereas V3+ is more stable. Vanadium3+ is also progressively oxidized by the air or dissolved oxygen. Vanadium5+ is expected to be the most prevalent form in waters exposed to the atmosphere, whereas V4+ occurs in reducing environments. Vanadium redox chemistry is of particular interest, especially in its application to renewable energy technologies. Indeed, V redox battery technology uses a type of rechargeable flow with different V oxidation states to store chemical potential energy. Demand for V has thus increased and will definitely continue to rise in the near future. Vanadium requests for construction materials is the greatest use of mined V. Vanadium is used as a metal alloy. A small quantity of vanadium adds strength and heat resistance to the metal with which it is alloyed. Ferrovanadium, an alloy of vanadium and iron, is used in high-stress automotive parts such as gears, shafts, and crankshafts. Titanium and vanadium alloys are used in jet engines. Vanadium volume that is cycled through terrestrial and aquatic reservoirs can thus be expected to further increase. 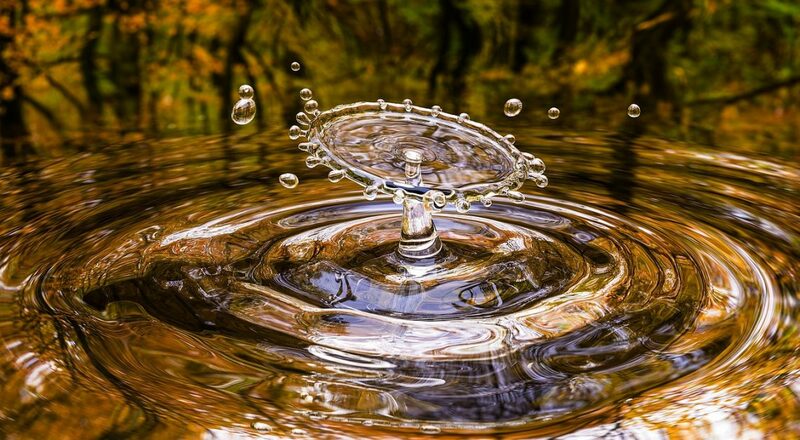 It results in uncontrolled V released into the environment, and environmental issues are alreadsy appearing in developing and developed countries. Indeed, vanadium has been one of the many metals trapped in China’s repression thanks to environmental inspections, but at the same time, China has raised the standards for more vanadium-requiring steel. In this context, vanadium has received more consideration as the global V demand growths. However, its occurrence in the environment becomes a new critical issue. 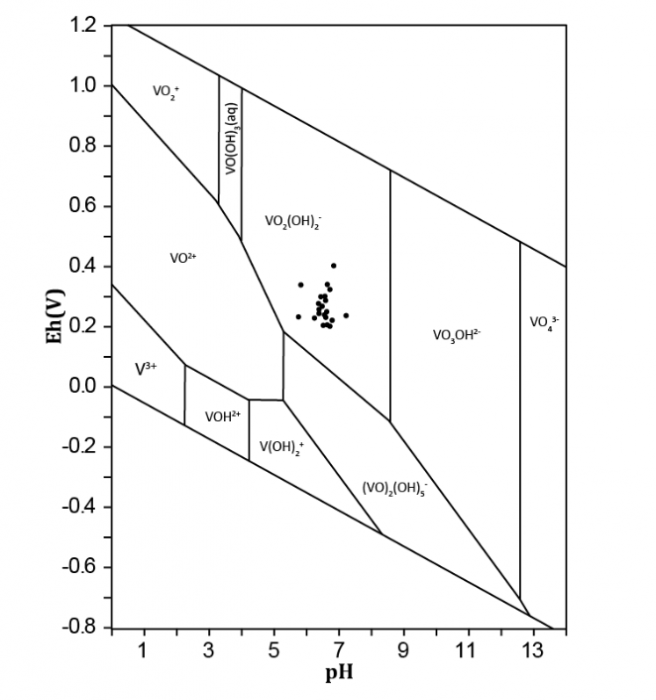 The oxidation rate of V4+ to V5+ and the equilibrium between these two species in aqueous solution will regulate V predominance in water (Figure 2; Pourret et al., 2012). Several factors, such as pH, V concentration, redox potential, the ionic strength of the aqueous system, and biological activity, regulate V speciation. In water, V4+ is generally present as vanadyl cation [VO2+, VO(OH)+], whereas V5+ occurs as vanadate oxyanion (H2VO4-, HVO42-). VO2+ is intensely sorbed onto solid phases, including organic and inorganic surfaces. Sorption of anionic V (H2VO4-, HVO42-) is much lower than cations. VO2+ solubility may be greatly improved through complexation with organic matter. Whereas V4+ is not thermodynamically stable at pH>7, complexation by various organic and inorganic species may considerably increase its stability (Figure 2). Eventually, V5+ oxidation state ion is more toxic than V4+ ion one. Pourret et al. (2012) published some results on V behavior in shallow groundwaters. They proposed that V in hillslope groundwaters arises as a mix of organic and inorganic complexes, whereas V in wetland groundwaters occurs mainly as an organic species. Using the dataset described in their studies, they highlighted that factors such as aquifer–rock composition or anthropogenic contribution undoubtedly play a negligible role in defining V distribution in shallow groundwaters. Although this conclusion on anthropogenic impact is at the local scale, a perturbation in the global V cycle cannot be excluded. Organic matter content and the redox state, either promoting competition with Fe-, Mn-oxides as V carriers in groundwater or not, are thus the two more probable dominant factors involved in the V cycle. In this context, it seems interesting to check whether organic matter or redox-sensitive phases are the major V carriers involved. Further research should be dedicated to clarify this distribution, notably to better understand processes affecting V transport at a larger scale in the critical zone. Figure 2 Eh/pH diagram for inorganic V species at 25°C and 1 atm for a V concentration of 10 μmol/L (modified from Pourret et al., 2012). Image courtesy Olivier Pourret. These findings are described in the article entitled Assessment of vanadium distribution in shallow groundwaters, recently published in the journal Chemical Geology. 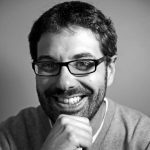 Pourret, O., Dia, A., 2018. Vanadium. In: White, W.M. (Ed. ), Encyclopedia of Geochemistry: A Comprehensive Reference Source on the Chemistry of the Earth. Springer International Publishing, Cham, pp. 1474-1476. Pourret, O., Dia, A., Gruau, G., Davranche, M., Bouhnik-Le Coz, M., 2012. Assessment of vanadium distribution in shallow groundwaters. Chemical Geology, 294: 89-102.